I think I have said enough by way of preamble and let me now come to this year’s Kodai trip. I should perhaps mention that this was my second Kodai trip, the first one being in 2003. That time we were in Brindavan and Swami’s party flew out of Bangalore. 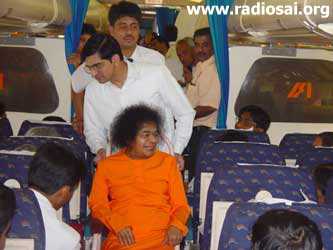 This time, Swami left from Puttaparthi and flew direct to Madurai, as He did last year also, that is in 2005. 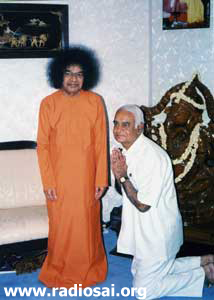 In 2004, Swami spent the entire summer in Bangalore and did not go to Kodai. A couple of days before Swami left, He went past me in the veranda during Darshan. At that time He briefly asked me, “What are you doing these days?” I replied that I was busy engaged in doing Swami’s work. He dismissed me by saying there was no work of His that required any attention from me. Normally one ought to be devastated by such a reply, but I was not; I knew enough not to pay serious attention to casual remarks. And it turned out to be right. Next day afternoon, Swami called me briefly inside and said, “I am taking you to Kodaikanal.” Frankly, I did not in the least expect this; in fact, there was so much work pending, I was planning on what all I ought to do after Swami’s departure – of course I knew Swami was going. Last year, that is in 2005, after Swami left, there was a lot of catching up I could do, and this year too I was planning to do something similar – and believe me there really was plenty to do in connection with the documentary on Swami some of us are very busy with. Thus, when Swami told me He was taking me along, I was totally unprepared, and also a bit worried about the pending work. D day was set for 9 th April 2006. 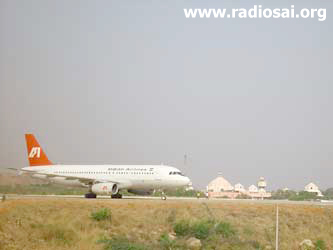 A chartered Airbus 320 aircraft would carry Swami’s party direct from Puttaparthi to Madurai, as was done last year. If there is anyone who is a stickler for details, it is Swami. It is amazing how He concerns Himself with every little bit, and taking a cue from Him, the people working closely with Him on tour details make sure that nothing is left to chance. Of course this drill is nothing new; it has always been that way; only, in the old days it used to be journey by road while now it is journey by air. Mode of travel different but attention to details remains the same; if anything, it is better and more professional. Let me explain. 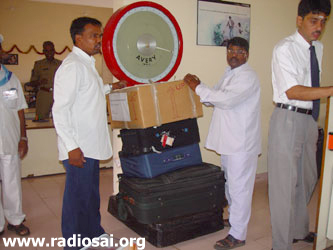 The first detail is about luggage and departure details from the Ashram. All the people in Swami’s party were asked to bring their luggage by 6.30 A.M. to the open area adjacent to the Poornachandra Hall, facing west. Prior to this we had been given specially prepared baggage tags with numbers and names. Everyone was allowed two bags and therefore given two tags only! When people came and deposited their baggage, Seva Dals with notebooks recorded the details. When all the baggage had been collected, it was loaded on to a tractor trailer and taken to the Sri Sathya Sai Air Port, where after unloading, weighing and adding the airline baggage tags, it was bulk cleared through Security and kept ready for loading on to the aircraft. As for us the passengers, there was a bus waiting right next to the baggage collection area near Poornachandra Hall. We just piled into the bus and at 7.15 the bus left for the Aiport. Normally, one goes to the Airport in Puttaparthi via the road that goes past the new petrol bunk and the Hospital; this is the usual road by which we travel when we go to Bangalore from Puttaparthi. But for some reason, we took the old road past Brahmanapalli and then went to the Airport. Old time devotees may remember that before the Hospital and the Airport, this was in fact the road by which one came to Puttaparthi from Bangalore. 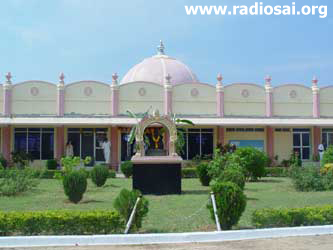 As I travelled along the Brahmanapalli Road towards the Airport, I could not help recalling a recording we had made of an old-time devotee’s recollection, who first came to Swami in 1960. Those days, the road was not only bad by itself but was made worse by the locals who were quite hostile to Swami and did not like people coming from outside and having His Darshan. I will not repeat all that here since you can find it all in H2H – just click here go to Mrs. Geeta Mohan Ram’s talk which we published in the July 2006 issue and you will find all the details. All that was in 1960. But today in 2006, it was an entirely different story. That god-forsaken village Puttaparthi, if one can be forgiven for use of that colloquial expression, has now become a global spiritual hub, with its own Airport; imagine that! Would anyone have believed this if it was predicted say in 1960? Why even in 1968, Arthur Schulman of Hollywood who came here described Puttaparthi as 160 km from Bangalore and ten minutes past the stone age! But now? What a miracle and yet, how quietly it has happened! What Shirdi Baba did to Shirdi, Swami has done to Puttaparthi, and in a much shorter time! 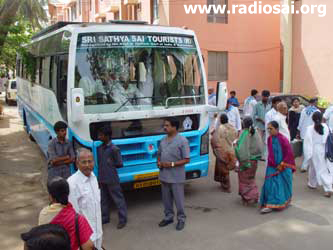 Well anyway, to get back to the main story, the bus arrives at the Sri Sathya Sai Airport, and we all get down. No hassle with the luggage – all that is taken care of by the Seva Dals. All we have to do is to walk into the waiting area, sit there, go through Security Check when called and then board the aircraft. By the time we arrived, many had already arrived; the boys and some of the teachers who were part of the Divine party. Somebody guided me to what I later learnt was the VIP waiting lounge. Many people were already seated there, including the present Vice Chancellor Anil Gokak, whose father, incidentally, was the first Vice Chancellor of the Sri Sathya Sai Institute of Higher Learning. To my knowledge, the last time Swami took a working Vice Chancellor to Kodai was when Prof Sampath held that office. After more than ten years, Swami was once again taking a Vice Chancellor in service to Kodai with Him; and this time, the wife of the Vice Chancellor also. The Indian Airlines Airbus 320 aircraft that was to carry us was supposed to come from Madras. It arrived in the Sri Sathya Sai Air Port exactly on schedule, at 8.20 A.M that is. After a while, the flight was called and we went through security to get out of the terminal building and walk towards the aircraft, parked some distance away. On the tarmac I saw the boys who were in the party quite excited, with many of them clicking away taking pictures. We arrive near the aircraft, and Narasimha Murthy waves us in. We make our entry through the rear door, since special arrangements had been made for Swami to board from the front. The VC goes in first and I follow him. We walk all the way to the front, and I find that the seat allotted to me is 2F, the same seat that I occupied during my 2003 trip. Swami’s seat was of course 1A, and from my seat, I could see Swami diagonally across the aisle. The VC was right behind Swami. The flight crew welcomed us with tasty musambi juice (orange juice), most delicious of course! I learn that the two stewardesses on the flight are graduates of the Anantapur Campus. I also notice Prakash Bharatkar of the Prashanti Digital Studio inside the aircraft, merrily clicking away precious photos for archival purposes. Normally, this kind of thing is simply not possible in any airport anywhere in the world - but this is Puttaparthi and a different world! Thus, with the support of Capt Sharma, now in charge of the Airport, I was able to get all the permission required for full photo and video coverage. 9.20am and all the passengers are seated; about 70 in all, including 23 students. There is a flurry of activity and I can see Swami’s car driving up on the tarmac towards the aircraft. A special elevator that looks like a van on wheels has been brought from Bangalore, and it is parked near the front entrance. I can see it is well decorated both on the outside and the inside. Swami gets down from the car and gets into the elevator which then is lifted up to the level of the front door. 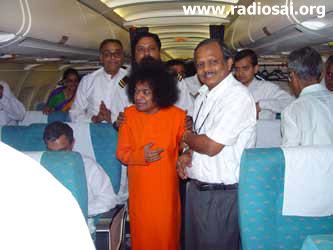 Swami then enters the aircraft, beaming of course. And guess what! The very first thing He does is to go up and down the aisle giving Darshan! In 2003, the Darshan started after the aircraft took off, but it seems that this time, He just cannot wait! The Darshan is just about over and Swami is finally in His seat, when the Captain asks the ground staff to deplane, in preparation for take off. The cabin crew, as per the normal drill then arm all doors and start making the usual announcements. I am surprised that the Sai Ram greeting, common on Swami’s chartered flights, is missing this time. We are told that the flight to Madurai would take one hour exact. Meanwhile, people inside are still clicking left and right, both members of our party and some airline staff too! 9.40, the engines are revved up and the aircraft slowly starts moving out of the parking bay. It makes a turn and slowly moves along the runway toward the Yelumalapalli end. This process takes a few minutes and as we slowly go there, I see from the window that there are lots of people gathered all along the road waiting to see Swami’s aircraft take off. I notice not only many vehicles parked on the road but also lots of Seva Dals all along the runway on both sides. 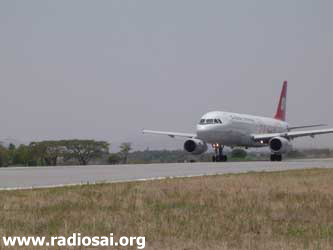 At the Yelumalapalli end, the aircraft makes a 180 degree turn and starts taxiing. In less than a minute it is airborne. As it flies West, I look out of the window and below me I see we are flying over the air traffic control building and on the balcony outside, I am thrilled to see our boys capturing shots of the take off in video and still camera! I was so proud that they had planned and organised it all so well. The aircraft then takes a gentle but huge turn to head south while my mind wanders off to 2003, when I was on a similar flight to Kodai, that time from Bangalore. I maintained then a diary and let me now offer extracts from that so that you can get an idea of what happened then as compared to now. Sunday, May 11th, 2003. This is the big day, and we are all supposed to leave for Kodai sometime early afternoon. Swami comes out and Bhajans start as usual. Swami goes round, gives Darshan, sits for a while and then rises, signalling for the Aarathi. He receives Aarathi and goes back to the Trayee Mandir – end of Bhajan for the day. Also, no Interview calls – that of course is to be expected. As always, everyone in the party has received instructions about what to do – guests, students, teachers, and all the rest. We are told that two big air-conditioned buses would come to the area of the Ashram adjacent to the Canara Bank, where residential quarters are located. 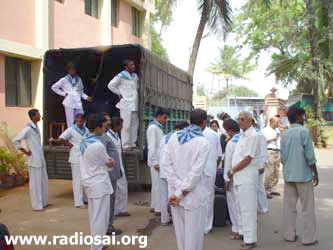 Everyone is to assemble in that area, hand over all the check-in luggage to Seva Dal volunteers deputed for the purpose, and board the bus. We are told the bus would leave the premises for the airport at 11.30 A.M. There is a lot excitement, especially amongst those chosen to go with Swami; no surprise in that. I arrive in the bus departure area at about 10 A.M. because I had been told, “Go early. There would be a lot of luggage, and the volunteers would need sufficient time to receive the luggage of all the people.” Good planning. 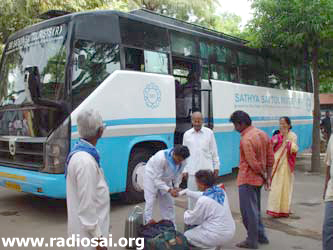 When I arrive, I see two big blue-coloured air-conditioned buses with the name Sri Sathya Sai Tourists written in bold on the sides. I have seen such vehicles many times in Puttaparthi, bringing devotees from Bangalore. I go to the area where Seva Dals are receiving luggage. Quite a crowd. There are people handing over luggage and volunteers receiving them. I am pleased to see that everything has been organised with meticulous care – not common, I am sorry to say in our country. A truck has been hired for the sole purpose of carrying the luggage to the airport. Since ours is a chartered flight, the luggage is being taken ahead of the passengers and checked-in at one go, so that security examination etc., can be done without involving the passengers. I have just two pieces of luggage, a modest suitcase, and a handbag; of course, besides this, I have the digital camera from our studio - Prashanti Digital Studio that is. There is a Seva Dal standing with a clipboard that has the list of passengers. Everyone is handing over the luggage to him. He is having a tough time, since he has to deal with so many people simultaneously – students, teachers, ladies, and some elderly people too. 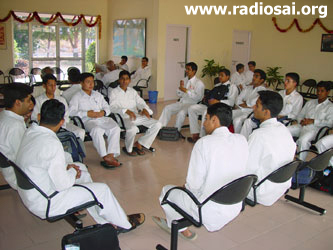 However, there are many other Seva Dals to help him and this volunteer knows precisely what to do. When a person goes to him, he asks the name of the passenger and how many pieces of luggage the passenger has. He then asks another volunteer to receive the baggage pieces and attach identification tags. He tells the passenger the serial number of his luggage, makes a tick on his clipboard against the name of the passenger, and that is it. No more worry for the passenger about the luggage. The luggage tag has been specially made for the flight with the words OM SRI SAI RAM. The date, the name of the passenger and the serial number are duly recorded on the special label. After the tag is attached, there are other volunteers who load the luggage into the truck. As I move away after handing over my modest suitcase, I stand back, click a couple of pictures and then take in the whole scene. I am amazed to see some huge suitcases. “My God,” I tell myself, “whatever happened to Swami’s teaching about less luggage and all that?” I am sure if these people had to fly by buying their own ticket, they would have to shell out a lot of money for excess luggage; in which case, would they be travelling with such big suitcases? I wonder! There are two buses, but which one am I supposed to get into? I make enquiries and find that one bus is for students while the other is for family parties. Swami had graciously included many husband and wife pairs in the tour party, and this other bus was for such people. I decide to keep the company of students and board their bus. It is almost full. Fortunately, there are a few seats vacant in the front. I see Warden Narasimhamurthy already seated and ask him whether I could occupy one of the vacant seats. He smiles and replies, “Why not? Please do.” I park myself. I look around and see that though the bus is nearly full, there is hardly any chatter. I am impressed and very proud of our students. Can one see this sort of discipline anywhere else? Indeed, later I would be surprised repeatedly, how wonderfully our boys conduct themselves in various situations. The bus looks real luxurious. There are nice and fresh seat covers with the Sarva Dharma symbol. I look in the front near the driver’s seat. Above it is a row of pictures of all the deities one can think of. Strangely, there is no picture of Swami. I am totally puzzled, because the bus service is named after Swami. I look around and see a sticker, with a picture of Swami’s picture – saving grace, I say to myself. I have come wearing my chappals (slippers) but I am not sure whether this was the proper thing to do. I remember the funny incident that occurred when I went with Swami to Delhi and Bombay in March 1999. I went wearing chappals as did all of us, including Anil Kumar, and we had a problem while boarding the aircraft with chappals on since Swami was already seated, and right at the entrance. The problem was: how to go past Swami? We could not carry it in our hands right before His eyes, nor could we walk in wearing them! I leave you to guess how we wriggled out of that tight corner! I turn and look around and find that Narasimhamurthy is wearing nice chappals. I am relieved and say, “So, I am not the only one. You also are wearing chappals.” The Warden’s reply stunned me. He said, “Sir, we actually got instructions from Swami that we should all wear chappals. Swami said, ‘When the plane reaches Madurai and you step on the tarmac, it would be very hot – it is mid-summer and the tarmac is all concrete. So all of you must wear chappals.’” Imagine that! Swami thinks even of such small details! How considerate and how compassionate! He is always like that. But what about Swami Himself? Well, like always, He moves barefoot. So I guess it would be so in this trip too, all the way to Kodai and back. It is pretty warm outside and though the bus is air-conditioned, the effect is hardly noticeable since the door has been kept open. I wonder when we would leave. The Warden tells me that the first the luggage truck would leave and twenty minutes later the buses would follow. The plane that would carry us is supposed to come from Delhi to Bangalore as a regular commercial flight. It is supposed to return to Delhi in the evening, and in between is sandwiched the charter flight to Madurai. According to what I was told earlier, the take off would be at 2 P.M. That means we would be boarded not later than 1.30. Possibly, Swami would get in at 1.45, and that would mean He would leave here by about 1 or 1.15. I get into a small conversation with Narasimhamurthy who has accompanied Swami to Kodai a few times during earlier trips. In 1999, which was when Swami went last, He went via Madurai, just as we would be doing. I was checking when we would touch Madurai , what would happen after that, etc. It seemed to me that Swami would reach Kodai ahead of us. Amazing, isn’t it? I mean the Lord of the Universe waiting like you and I perhaps would? Frankly, I am not amazed when Swami performs miracles that make people say ooh and aah. It is when He acts utterly human that I am truly stunned. One good thing. Almost everyone is in the bus. This means not many will come to the airport by cars. 10.35. The luggage van finally leaves and I guess we would move in about fifteen minutes or so. 10.50 A.M., and the signal is given for our buses to leave. There is a lot of excitement, naturally. Flanking the Ashram premises is the Canara Bank. One employee there seated next to a window is looking at what is going on in the Ashram compound, forgetting his work completely! Obviously, this bank employee does not seem to have heard of Karma Yoga! The buses are big and the exit gate is small. Quite a bit of manoeuvring is required and finally, with a big sigh, the buses manage to get into the road outside. A big crowd there. The ladies who sang Bhajans in the morning are also there, in their uniform sarees. Obviously, these people are gathered to catch a glimpse of Swami and not to bid us goodbye! Meanwhile, just as the bus starts moving, one of the boys says loudly: “Jai Bolo Bhagavan Sri Satya Sai Baba Ki” and everyone shouts “Jai!” This is done three times. For the boys, this is a normal routine. A forty-minute ride and we are in the airport. It is a lean period for air traffic, and ours is the only flight for next two hours or so. As I get down, I see plenty of Seva Dals everywhere. There is a lady, obviously a member of the staff of Indian Airlines, and she greets us with the words “Sai Ram”. Well, this is the first time I have been greeted that way by the Indian Airlines! Mr. Dwarakanath who does gate duty at the Trayee Mandir is there to greet us on arrival. He has a whole bunch of boarding passes in his hand. The seating plan has apparently been arranged in advance, and the boarding passes printed accordingly. Mr. Dwarkanath calls out names and hands out the passes one by one. While so doing, he adds, “Please go upstairs to the restaurant. You will be served refreshments there.” The lady who greeted us on arrival escorts us all there. We go into the terminal building and head for the first floor, following the lady staff member of the Indian Airlines. The restaurant is empty when we troop in but soon it is full with passengers on the special chartered flight. I take a seat at a table and look at my boarding pass. The flight number is given as IC 999. That sure is a Sai touch! I then check on my seat number. It is 2C. Wow, I tell myself. Swami I am sure is in seat 1A and 2C means that I am right behind Him. Good chance for snapping pictures. I say a silent prayer of thanks to Baba while a couple of others join me at my table. And while I return to my seat with a packet of juice in hand, I see the ladies trooping in. Obviously, the second bus or the family bus has also reached the airport. Most of the ladies are wearing the same type of saree, given by Swami of course. This coming in a uniform is quite common, and I guess there is really no reason for me to be surprised. Slowly people are leaving the restaurant and going for security check. As I join the queue, one of the members of our group throws a scare into me about the camera battery. He says, “They are very strict these days. They may ask you to put the battery in the check-in luggage.” That worries me because all our luggage has been taken away already. So many people in our group are carrying cameras, and they all are taking them personally with them; after all, who would dare to check in a camera as a piece of luggage? These people walked around without a care about the security. I thought maybe they were ignorant of what lay ahead, and that is why they were so carefree. Luckily, it turned out that there was really no problem. I cleared security with my camera and all, as did everyone else carrying a camera. We are all now in the departure lounge for the wait before boarding. Once again, there is silence where our boys are concerned. The elders, on the other hand, especially the ladies, see no reason for silence. I sink into a solitary seat but after a while a student joins me. Hesitantly he asks, “Sir, I have some doubts; can I ask?” I ask him to go ahead, and I find myself educated by the wonderful questions he fires at me, all spiritual of course. Meanwhile we hear that our flight has been slightly delayed. Finally, the flight is called and we all troop out to board the buses that would take us to the aircraft. As I get into the Indian Airlines bus, I am making all kinds of plans. I tell myself, “I must be ready to snap some real good pictures when Swami enters the aircraft.” I thought, and so did all of us, that Swami would board only after all of us were seated. But I am in for a surprise. The bus takes us to the aircraft, which is parked in the VIP area near the HAL hanger. This is where we took off from in 1999, when Swami went to Delhi. 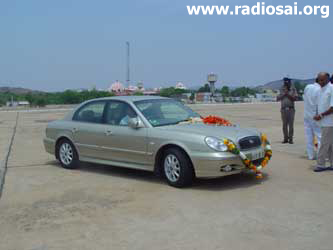 As our bus approaches our aircraft, I strain to see the car by which Swami is supposed to have come to the airport. Earlier we were told that Swami had arrived in the airport and was in the VIP lounge. I am not able to spot the car. Meanwhile, as our bus is approaching our aircraft, I notice that there is a lot of excitement there. I am not able to figure out what is going on. It is only when I hand my boarding pass and climb up the stairs for entering the plane, that I realise what has happened. Swami has already got in; and there He is now greeting each and everyone of us as we enter! Actually, it was a hassle to get in because the airline staff were ahead of us, all of them crowding around Swami, offering flowers and what not. While this was happening, I could hear Mrs. Ratanlal behind me asking the staff to make way so that passengers could board! Just before lift off, all of us put on the seatbelts as per the regulations. I see some activity near Swami’s seat. I am not able to see what is going one. I wonder: “Is Swami putting on the seat belt or is it like when we went to Delhi when He did not?” Meanwhile, the aircraft is gaining altitude. We are told that the flight to Madurai would take about 45 minutes. Well, all that was from the notes I had taken in 2003. More next time! Jai Sai Ram.